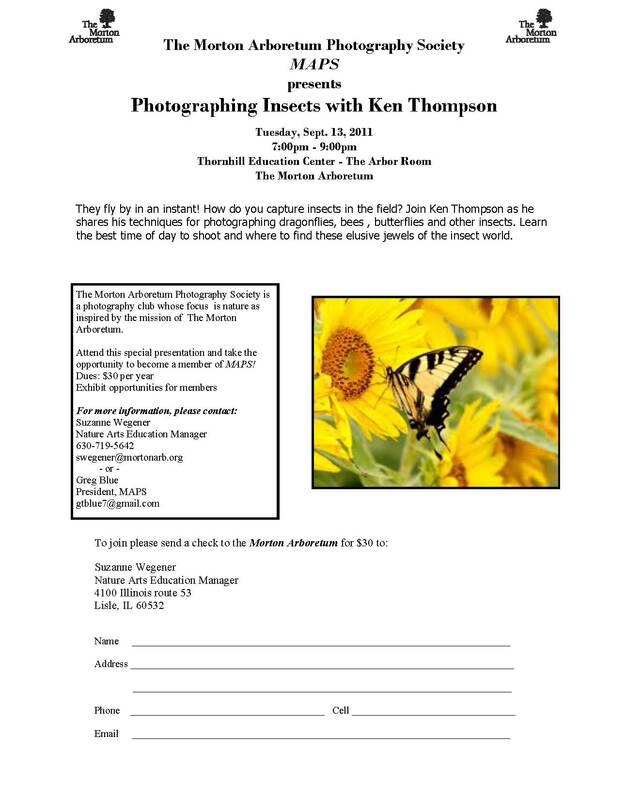 Please Welcome The Morton Arboretum Photographic Society! Please welcome a brand new addition to The Morton Arboretum’s contribution towards the advancement of Nature Arts – The Morton Arboretum Photographic Society. With their first program scheduled for next week, and their new blog being developed as we speak, it won’t be long until there will be exhibitions, workshops and “shoot-outs?” Hmmm, that last one may need some further thought. In any event, we’re absolutely thrilled that they’re here. Think of the synergy! Think of the camaraderie! Think of all the free photography for our events! All kidding aside, we all understand how much Nature Photographers and Nature Artists have in common. We may use different tools and techniques, but we all seem to have the same goal – doing our best to share the beauty all around us that we call “Nature”. 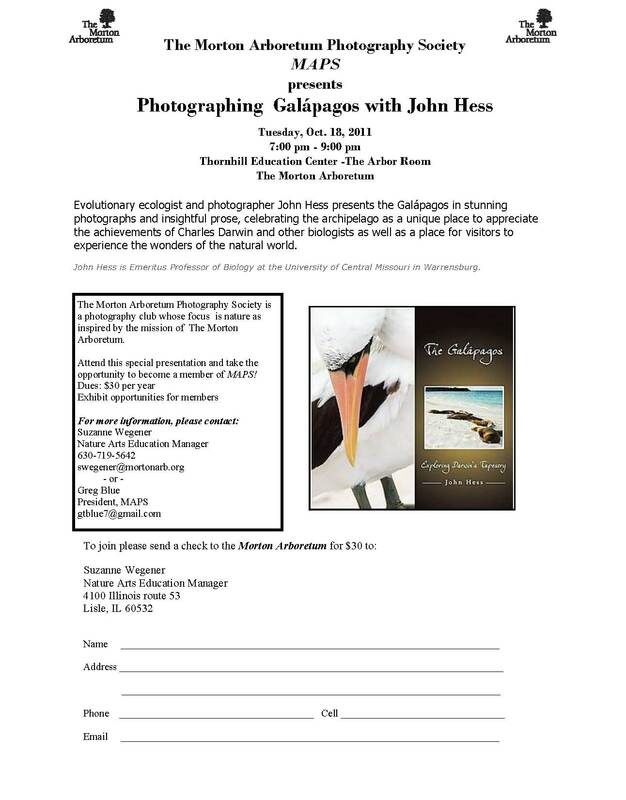 Nature Artists’ Guild members and their guests are invited to attend the first two exciting MAPS programs as seen below. 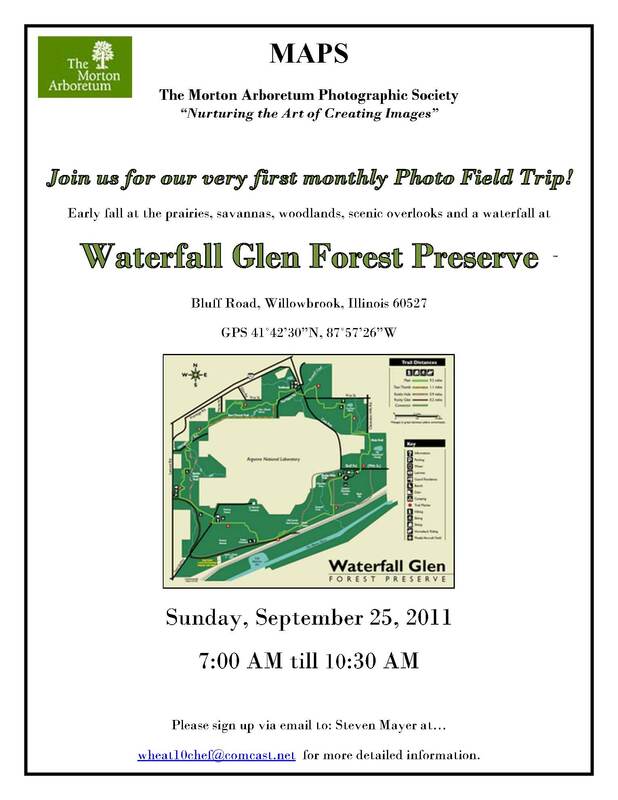 If you’re ready to get out there and start taking photos, you’ll also want to check out the flier below for the first MAPS field trip! ← Holiday Exhibit Prospectuses Sent!